The politics of Romero began with the announcement of outgoing San Salvador mayor Norman Quijano, that he would rename a street in the capital city after D'Aubuisson. This generated an outcry of protest, leading some to speculate that Quijano had taken the step to spite the party who had pushed him out of the candidacy to return as mayor. 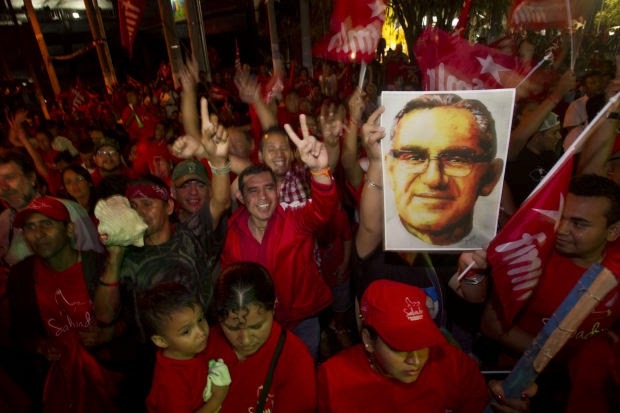 The FMLN denounced the plan and attempted to link it to the party leadership. The Secretary-General of the United Nations, Ban Ki-moon, was in El Salvador today for the commemoration of the 23rd anniversary of the signing of the 1992 Peace Accords which ended El Salvador's bloody civil war. Slain Salvadoran Archbishop Oscar Romero has moved one step closer to beatification. Avvenire, the newspaper of the Italian bishops’ conference, reported Friday that a committee of theologians had confirmed that Romero died as a martyr. The designation means he can be beatified without having a miracle attributed to his intercession. A miracle is needed, however, for him to be made a saint. 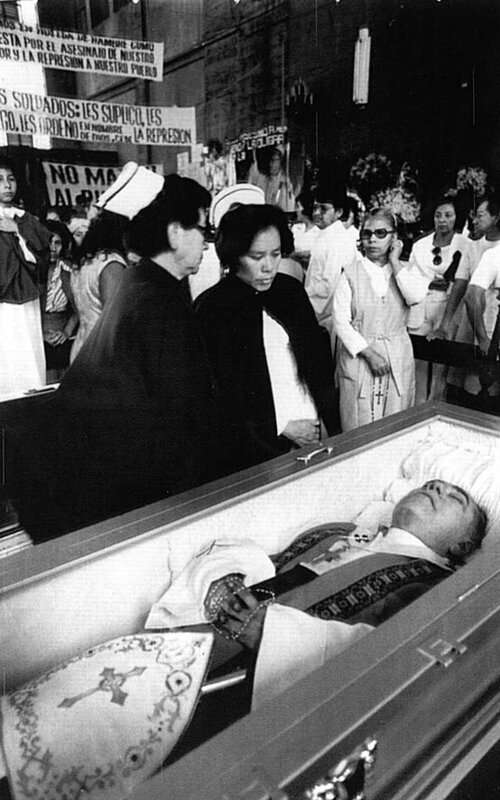 Romero was gunned down by a right-wing death squad in 1980 while celebrating Mass. He had spoken out against repression by the Salvadoran army at the beginning of the country’s 1980-1992 civil war between the right-wing government and leftist rebels. This week the US announced that it would extend yet again Temporary Protected Status for Salvadorans in the US without proper documents at the time of the 2001 earthquakes in El Salvador. Salvadoran nationals are eligible for this status if they have been continually in the US since February 13, 2001, have committed no crimes and have registered during each preceding 12 month period. Persons registered under TPS are not subject to being deported back to El Salvador, even if their original arrival in the US was illegal. TPS includes work authorization from the federal government allowing TPS enrollees to be legally employed. Here is our annual round-up of the top religion stories from the past year in El Salvador submitted by our friend Carlos Colorado. Be sure to also read his overview on the news surrounding Oscar Romero in 2014. If you click on the label for the topic “Religion” in Tim’s Blog on the right hand side of the screen, you will call up both institutional news relating to particular churches and stories that focus on ethical issues facing Salvadoran society. Tim himself came to El Salvador through the church: “I have been visiting El Salvador since 2001 in connection with the relationship which my church in Wisconsin has with a sister church outside of Tonacatapeque,” Tim tells us in his profile. Accordingly, this roundup on El Salvador’s top ten religious stories is not intended as a narrowing filter, but rather as a barometer of the great debates that El Salvador has been wrestling with in a given year. 2014 was no different. Salvador Sánchez Cerén from the FMLN wins a tight presidential race. For the first time since the end of El Salvador's civil war, the presidential election required two rounds to decide. Former president Tony Saca captured enough votes to prevent either Salvador Sánchez Cerén from the FMLN or Norman Quijano from ARENA from winning in the first round. In the second round, Sánchez Cerén won by only 6000 votes out of some 3 million votes cast, in a highly polarized election. Quijano conceded only after weeks of challenges before the Supreme Electoral Tribunal and the courts.